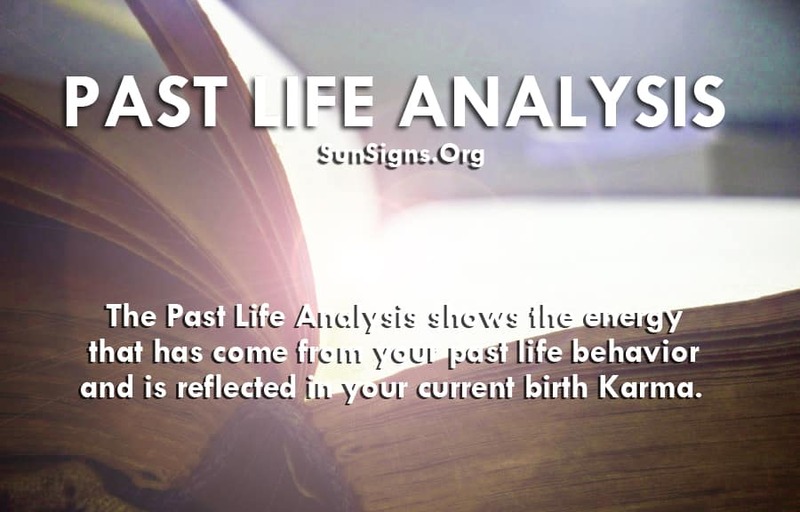 Have you received your past life analysis yet? Are you ready to better understand yourself to bring more prosperity to you and your loved ones for the coming years? This past life reading has been known to be oddly accurate. The details of your past life that have to do with your personality and the energy that has come from your past life behaviors, your actions and your experiences, are explained in this past life reading. When you become aware of your past life traits that you had, you will also gain more power to develop and use your abilities that may have been forgotten until now. You can put your capabilities to good use in order to receive the best in this lifetime. Millions of people have spent years of exploring the process of reincarnation. It is now a fact that has been proven to many that there is, indeed, a previous life for all who struggle on this earth for a better life, knowing that they can improve themselves. This past life reading starts by calculating your astrological natal chart. Your experiences from the past that have brought you to where you are today are the insights that you will receive from this past life reading. You can now understand how you are being influenced from the past. You can become conscious of what you were first not conscious of and understand how the past has much to do with your present circumstances. Thanks to all the experts who have done the extensive research upon this, it is now extremely easy to find out about your past life. This free astrology reading is done by filling in the details of your time of birth, the day, month and year as well as the longitude and latitude of your place of birth. The calculator only takes a few seconds, and you will be on your way to know more about yourself. With this information you will be able to predict more outcomes of situations based on your personality from the past and from the present. The past life calculator which is a finder of the past goes from 1905 to all the way up to the year 2035! So you can even figure out the past life of a future baby if you want to use your imagination in that way. Knowledge is freedom, and this knowledge is free for you today.